In July 2009, Powers & Company, Inc. was retained to complete a paint analysis of metal and wood elements on the monumental building located on the National Mall. The Arts and Industries Building was constructed between 1879 and 1881 by Adolf Cluss as a vehicle to “receive, exhibit and preserve the collection of the natural resources, arts, and industries belonging to the national government.” Originally known as The National Museum, the multi-level brick building measures 327 feet on each side with 2.35 acres of interior space. The scope of the project involved color matching the original paint finishes on the existing painted exterior metal surfaces and interior wood surfaces. These surfaces were primarily decorative and included dormers, finials, acroteria, pediments, windows, gates, grates, doors and windows. 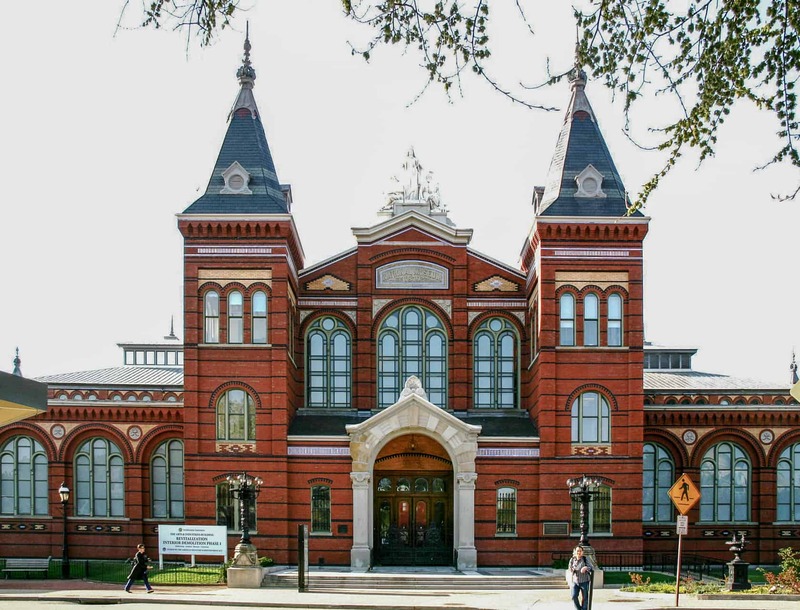 Arts and Industries Building, Smithsonian Institution, Washington, D.C.